I pinned this inspiration quite a while ago and just got around to making it this weekend. My personal blogger-stance is to NOT re-do what someone has done (if I've seen it). I'd rather show you my finished project and send you to the original tutorial instead of showing you how to do it on my page. It just seems more supportive of other bloggers, and I know that I appreciate that so much more than just a little tag at the bottom which says, "inspired by la vie en rose" (or worse, la vie enrose ...). Anyway, I went to the site so I could grab the link to the tutorial... but... there was no tutorial! I think the shirt is an actual product being sold and not another blogger's DIY. Clearly that means a tutorial did in fact need to be made, so here it is! 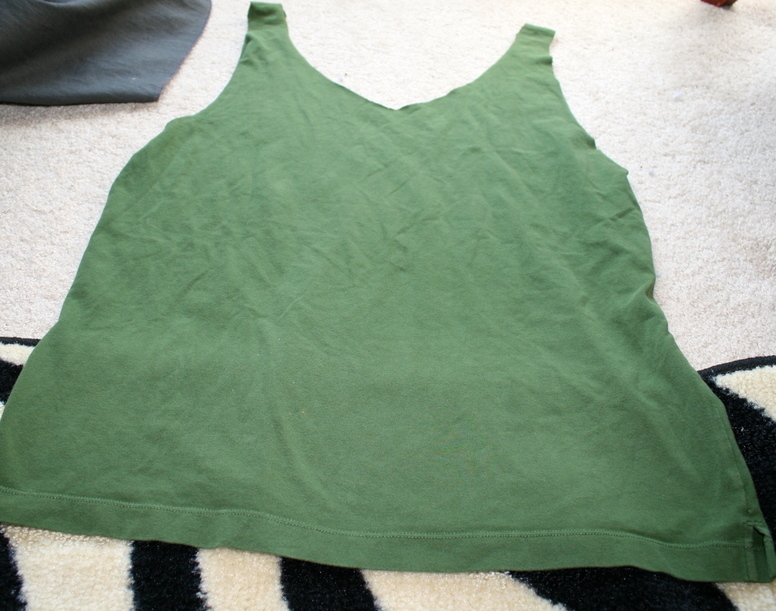 I started with one of John's too-big polos, but I regret that. 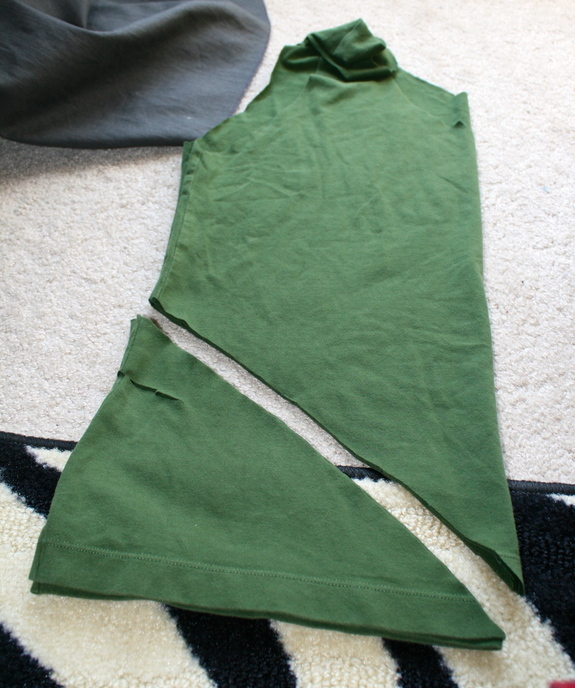 The tank turned out looser than I wanted, so I'll probably hem the sides in a few inches. I recommend a shirt that is just a bit loose, not insanely oversized. 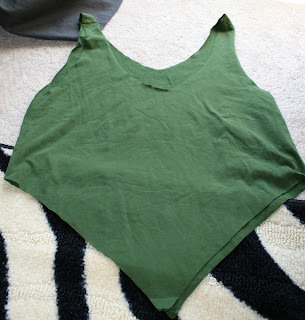 I can't wait to do this again because I have so many ideas for the back and even just the shape in general. **note, I can't show you the picture for the inspiration on my page since there is no "original source link". If you'd like to see it, click the link above to the site which showed the tank and gave the inspiration. 1. Shape it. First you need to turn it into a tank. If you've seen my T TO TANK tutorial, you already have this down. If not, you'll need to cut the collar and sleeves off. For the collar, I folded the shirt on the sleeve line so that it would be even. Then I started on one side and cut all the way to the bottom of the buttons and back up. This made a nice dip in the back as well. 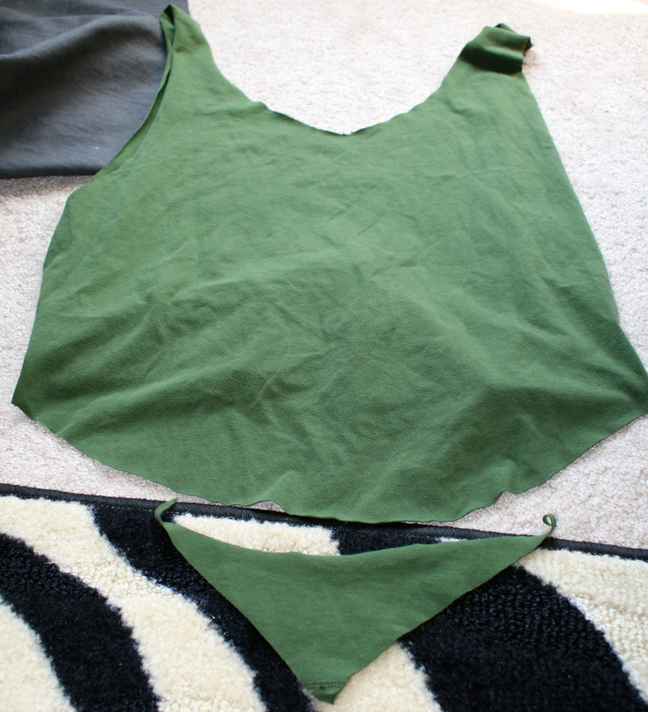 If you want your back + front to have a different shape, refer to the t-to-tank tutorial above, it's much more in depth. 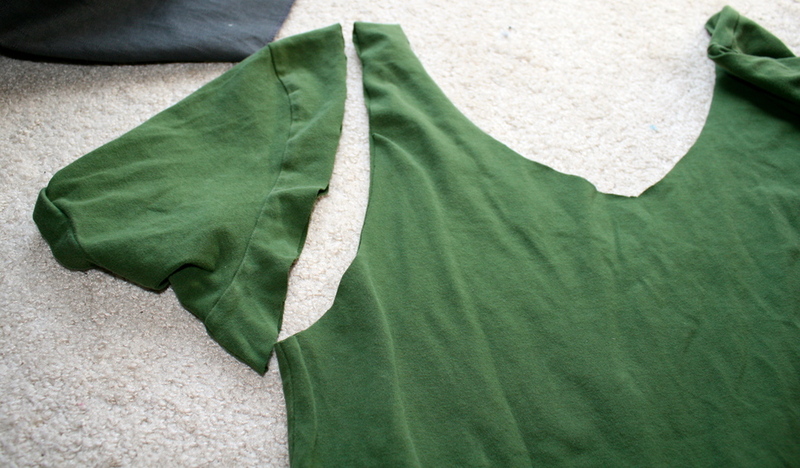 Next, I tackled the sleeves. 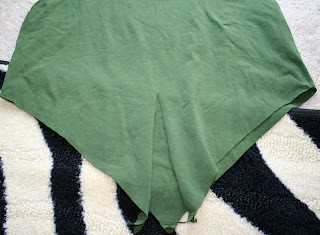 You can fold the shirt here too for a symmetrical finish, but I chose not to because of the material. Start at the bottom of the sleeve and cut along to the top. I usually follow the seam and take off about an inch. (2) Angle it. 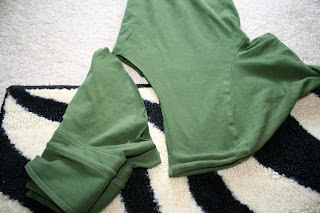 Fold your shirt in half, longways. 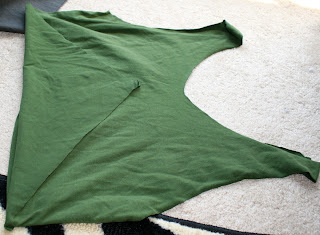 Starting at the side hems, cut an angle down to the middle of the shirt. You can control how cropped the shirt is, I went from mid-way down. Lastly, cut a straight line in on the FRONT of the shirt from the bottom to where the cropping begins. (3) Back it. I gave two back options here. Well, technically three because you *can* leave it angled if you'd like. You can also fold the angle over til it is in line with where the cropping begins and cut it right off, so that your back is straight across (this is how it was in the original) OR you can just cut a curve into the bottom as seen in the second picture if you'd like more back coverage. That's what I did. (4) Wear it! Wouldn't this be super cute over a bathing suit? That's how I wore it over the weekend. I loved it. I can't wait to wear a zillion more. Obviously it's cute with shorts, too! You can choose to layer it or leave it alone. Also, how tightly you tie the knot will determine how much coverage you have. When I tie the knot loosely, the shirt actually extends to cover my entire stomach. I absolutely HAVE to do the Natural Product Review this week because I promised to do it in July, which is nearly over. I'll cut it down to 3 days instead of 5, though, so that we can get at least one more refashion/project in this week :) I hope your weekend was incredible. Mine was full of floating, beaches, cousins + baklava. So yes, it was lovely. All the best to you and as always, thanks for reading! Cute! 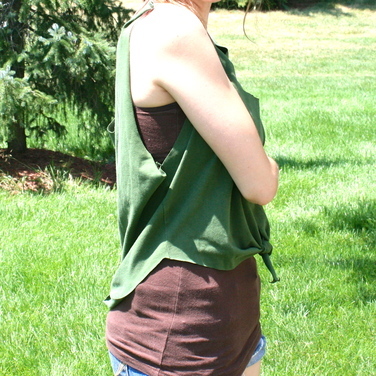 I have a granddaghter who loves to 'cut up' tee shirts and make these cute little tanks! I take a ribbon of contrasting color and tie the 'sleeves' together in the back for a different look! You look really cute in yours and now I have to make her another one like yours! Thanks! Marie, that is *exactly* what I do with the regular t to tank tutorial! Tying those back makes *such* a difference in bagginess, doesn't it?! I'm so glad you liked it, it's always better to reuse the old stuff than buy the new!